Structural Marxism is an approach to Marxist philosophy based on structuralism, primarily associated with the work of the French philosopher Louis Althusser and his students. It was influential in France during the 1960s and 1970s, and also came to influence philosophers, political theorists and sociologists outside France during the 1970s. Other proponents of structural Marxism were the sociologist Nicos Poulantzas and the anthropologist Maurice Godelier. Many of Althusser's students broke with structural Marxism in the late 1960s and 1970s. Structural Marxism arose in opposition to the humanistic Marxism that dominated many western universities during the 1970s. In contrast to Humanistic Marxism, Althusser stressed that Marxism was a science that examined objective structures, and he believed that humanistic, historistic and phenomenological Marxism, which was based on Marx's early works, was caught in a "pre-scientific humanistic ideology". Toward the middle of the 1970s and throughout the 1980s, Marxist theorists began to develop structuralist Marxist accounts of the state, law, and crime. Structuralist Marxism disputes the instrumentalist view that the state can be viewed as the direct servant of the capitalist or ruling class. Whereas the instrumentalist position argues that the institutions of the state are under the direct control of those members of the capitalist class in positions of state power, the structuralist perspective takes the position that the institutions of the state must function in such a way as to ensure ongoing viability of capitalism more generally. Another way that Marxists put this is that the institutions of the state must function so as to reproduce capitalist society as a whole. The Miliband-Poulantzas debate between instrumentalist Ralph Miliband and structuralist Nicos Poulantzas characterized the debate between structural and instrumental Marxists. Structuralists view the state in a capitalist mode of production as taking a specifically capitalist form, not because particular individuals are in powerful positions, but because the state reproduces the logic of capitalist structure in its economic, legal, and political institutions. Hence, from a structuralist perspective one would argue that the institutions of the state (including its legal institutions) function in the long-term interests of capital and capitalism, rather than in the short term interests of members of the capitalist class. Structuralists would thus argue that the state and its institutions have a certain degree of independence from specific elites in the ruling or capitalist class. Structural Marxism posits that the state functions to serve the long-term interests of the capitalist class. 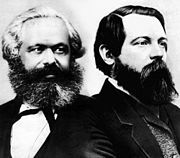 Building upon the works of Engels and Lenin, structural Marxists posit the idea that the state is a mechanism for regulating class conflict, the irreconcilable tension between the proletariat and the bourgeoisie. By regulating these antagonisms rather than eliminating them—which Lenin thought was impossible without violent revolution—the state serves to stabilize the capitalist system as a whole and preserve its existence. Structuralists differentiate between the long-term and short-term interests of the capitalist class in order to describe the necessity of the state to the capitalism system. Short-term interests of the bourgeoisie include policies that affect capital accumulation in the immediate future such as tax breaks, reduced minimum wages, government subsidies, etc. They maintain that when the state is not benefiting the bourgeois class’ short-term interests, it is acting on the behalf of its future interests. Accordingly, when the state seems to act on behalf of the proletariat rather than the bourgeoisie (raising minimum wages, increasing rights of workers’ unions, etc.) it is serving capitalist interests by meeting the demands of workers only enough to prevent an uprising that could threaten the system as a whole. Because the interests of the proletariat and the capitalist classes are counter to one another, the state is necessary to regulate the capitalist system and assure its preservation by forcing capitalists to agree to demands of workers to which they otherwise would not succumb. I will argue that the whole of Althusser's theory is made up of the following elements : 1. common sense banalities expressed with the help of unnecessarily complicated neologisms; 2. traditional Marxist concepts that are vague and ambiguous in Marx himself (or in Engels) and which remain, after Althusser's explanation, exactly as vague and ambiguous as they were before; 3. some striking historical inexactitudes. Kołakowski further argued that, despite Althusser's claims of scientific rigor, structural Marxism was unfalsifiable and thus unscientific, and was best understood as a quasi-religious ideology. In 1980, sociologist Axel van den Berg described Kołakowski's critique as "devastating," proving that "Althusser retains the orthodox radical rhetoric by simply severing all connections with verifiable facts." ^ Althusser, L. (1971). Lenin and Philosophy. In Lenin and Philosophy and Other Essays. NY: Monthly Review Press. ^ Heine Andersen and L. B. Kaspersen (ed.). Classical and Modern Social Theory, Blackwell publishers, Oxford, 2000. ^ Poulantzas, N. & Miliband R. (1972). The Problem of the Capitalist State. In R. Blackburn (ed.) Ideology in Social Science: Readings in Critical Social Theory. NY: Pantheon Books, pp. 238–262. ^ a b Lenin, V.I. (2004/1917). The State and Revolution. Whitefish, MT: Kessinger Publishing. ^ a b c Offe, Claus (1974). Structural Problems of the Capitalist State: Class Rule and the Political System. In Klaus von Beyme (ed.) German Political Studies, vol. 1. Beverly Hills, CA: Sage Publishing. ^ Kołakowski, Leszek (1971), "Althusser's Marx". Socialist Register 1971, pp. 111–28. ^ Van den Berg, Axel (1980). "Critical Theory: Is There Still Hope?" The American Journal of Sociology, Vol. 86 No. 3 (Nov 1980), pp. 449–478. This page was last edited on 3 February 2019, at 11:57 (UTC).